First things first, this it not a DIY or tutorial! So I've done a DIY before about how to make a bracelet using old rings, and it was so easy to do (and cheap) to do! But I feel like, most people, would rather spend out a lot of money on a piece of jewellery, than spend the time and effort to make it. 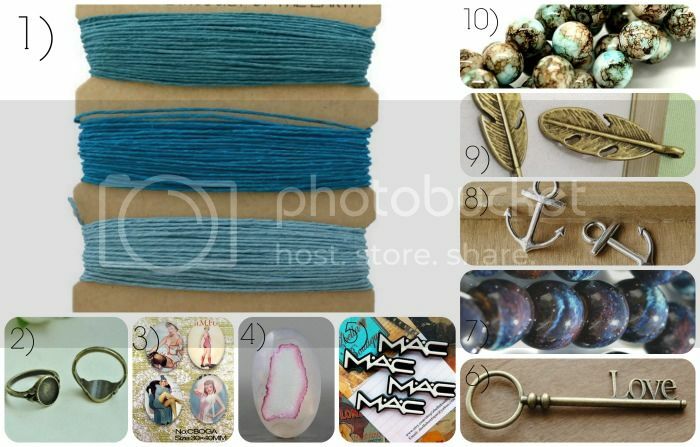 You can get many jewellery making supplies for really cheap from either Ebay, or Etsy.. 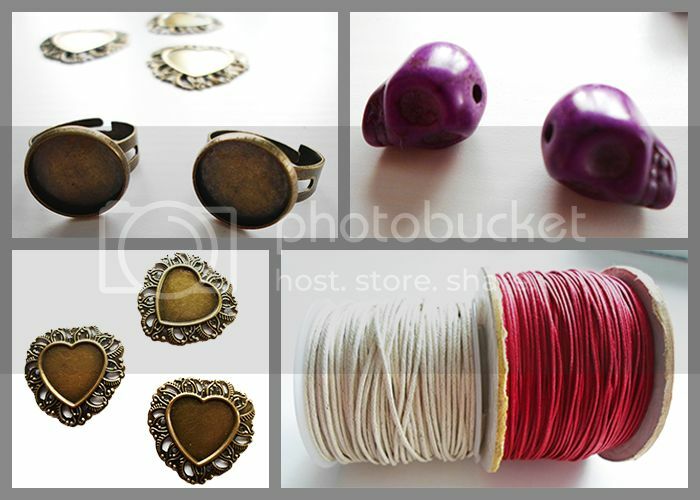 Some things from my collection include ring bases, skull beads, hard bases, cord and more. Now with these things, I could make countless different items, for the price of only one jewellery piece. From Etsy I found a range of gorgeous jewellery making supplies, at and such reasonable prices it's hard to resist! You could make rings, bracelets, necklaces and earrings all to your chosen designs. You can make pieces completely out of your imagination and have one of a kind items! So if you're interested in making your own jewellery then head on over to Etsy or even Ebay and start searching for the perfect supplies to bring your dream jewellery to life! If you happen to read this, and do decide to make something of your own, then definitely tweet me a picture @NovaAlexxander, I'd love to feature some reader creations here on my blog! great post lovely - totally inspired me to make my own jewellery!